I wrote some software so you can use your computer as an oscilloscope. 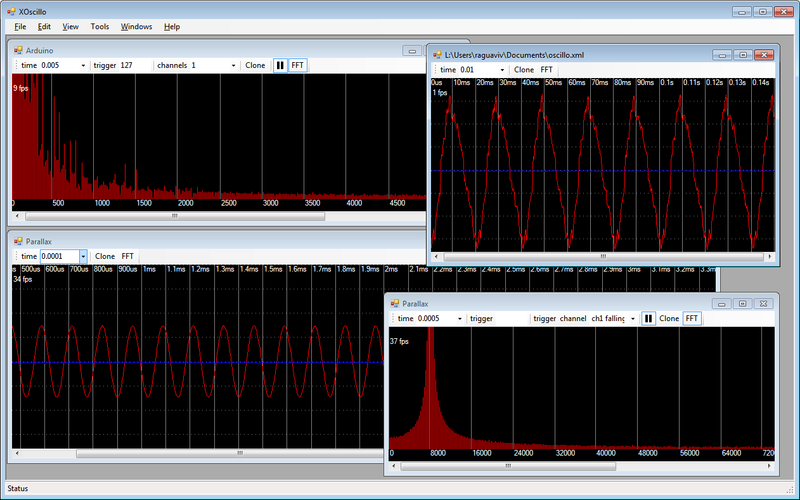 In the following screen shot you can see the software acquiring data from an arduino and also from a Parallax USB oscilloscope simultaneously. I'd like to add support for a PIC18F14K50 based input device. Do you plan to make the source for your arduino implementation available? This is exactly what I need for my project. Thanks for making it available! This is fantastic. Thank you very much. You are talented person with creative mind. I always interested in reading your post..